Want to provide superior auto body services in a top rated, well established auto body company? 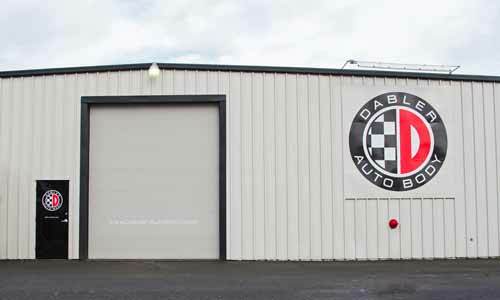 Dabler Auto Body has been an integral part of the Salem community for over 49 years. We continue to give back by providing well paying, intrinsic rich employment opportunities. Give us a call today to find out where you might fit in with our team! Top Rated Service – Can you provide high quality auto work, quickly and efficiently? Our reviews show the level of our work quality, and we stand behind each and every project we work on. If you can provide the type of high quality work we are looking for then we want to hear from you! Lifetime Warranties – Our level of work is so high, we stand behind all the parts and labor of every repair. If our customers are unhappy, we strive to provide a quality resolution as quickly as possible. We need people who understand the importance of this mission, is that you? Competitive Salary and Benefits – As a team member, your treated like a very valuable member of a family. We honor all our employees hard work with some of the most competitive rates in our industry. We want our team members happy, as it’s this positive attitude that shows in our projects.